This is a special infographics element that allows you to create original presentation or report. This graphic is a fully scalable vector, so you can easily change colors and shape. 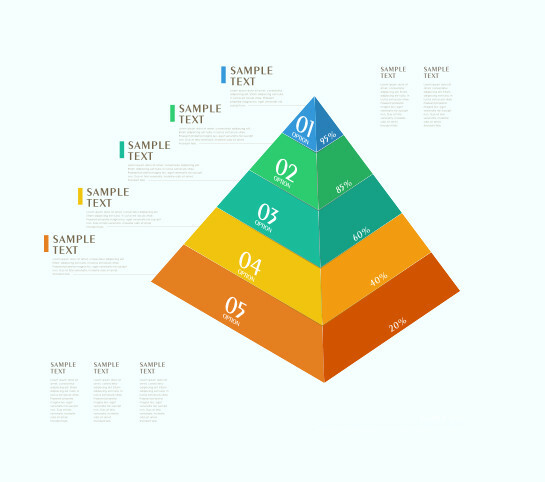 This colorful vector pyramid are great to present fast visual report.